According to the RIAA, Trey Songz‘ “Touchin’, Lovin’” single featuring Nicki Minaj was offically certified Gold on July 20th. This means that The Featherstones-produced track has been purchased over 500,000 times since it was first released on September 9th, 2014. Congratulations to Trey and the Young Money Barbie on this great achievement. Click here to watch them perform the collaboration live together in Los Angeles last year! Spiff TV recently chopped it up with Billboard for an interview about directing French Montana‘s “No Shopping” music video featuring Drake, as well as Drizzy‘s upcoming “Child’s Play” visual. The Dominican/Puerto Rican video director discussed shooting the “No Shopping” visual, Montana and the 6 God‘s Spanish-skills, what we can expect to see from the “Child’s Play” video, and when it should be released. You can read everything Spiff said after the jump below! 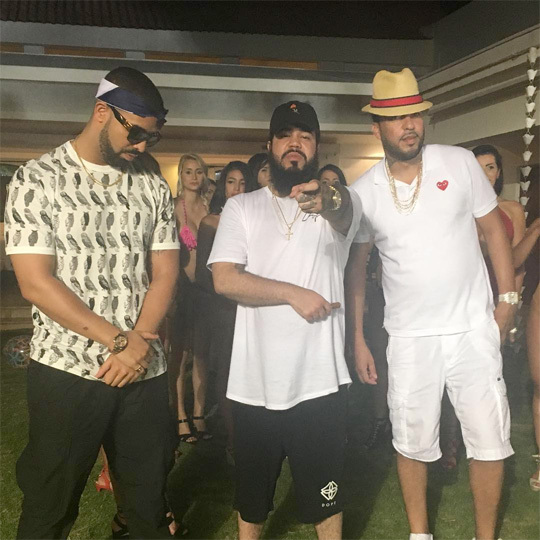 Check out the official music video for French Montana‘s “No Shopping” single featuring Drake below. 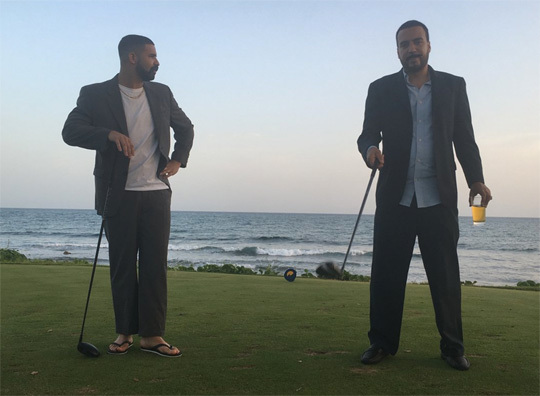 The visual, which was directed by Spiff TV, was shot in La Romana, Dominican Republic in the middle of June and includes cameos from the OVO crew. Murda Beatz is the producer of “No Shopping” and the song will be appearing on Montana‘s upcoming MC4 album, due to be released on August 19th! 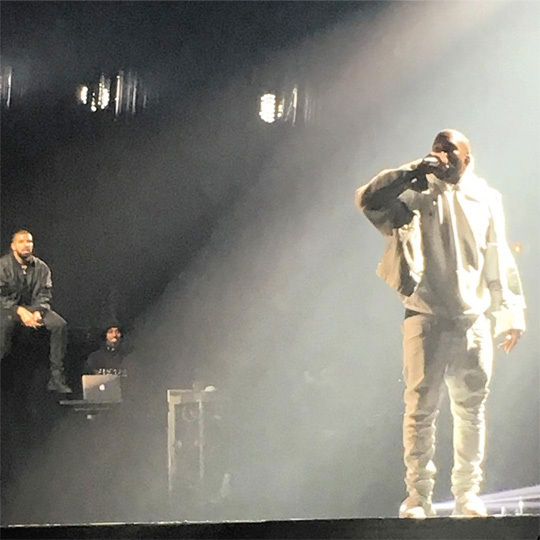 On July 27th, Drake brought out Kanye West during the Chicago, Illinois stop of his “Summer Sixteen” tour at the United Center. Drizzy and Yeezy performed their “Pop Style” collaboration live together before Kanye then performed “Father Stretch My Hands Part 1” and “Famous“, as well as took a shot at Taylor Swift: “I’m so glad my wife has Snapchat”. You can check out a couple of clips of 6 God and Yeezus on stage together in Chicago after the jump below! 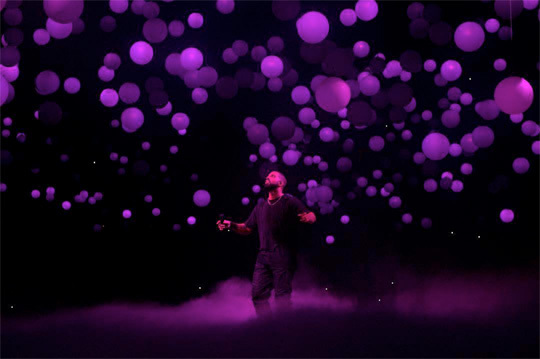 The nominations for the 2016 MTV Video Music Awards were announced earlier this week and Drake was nominated a total of five times (six times if you count Jeremy MacFarlane’s nod in the “Best Art Direction” category for “Hotline Bling“). Drizzy was nominated in the categories “Best Female Video” for Rihanna’s “Work“, “Best Male Video” for “Hotline Bling“, “Best Collaboration” for Rihanna’s “Work“, “Best Hip-Hop Video” for “Hotline Bling“, and the big one “Video Of The Year” for “Hotline Bling“. This year’s MTV VMAs will air live from the Madison Square Garden in New York City on Sunday, August 28th from 9PM. You can see who the 6 God will be in competition with to win his awards below. Be sure to vote for Drizzy Drake here! 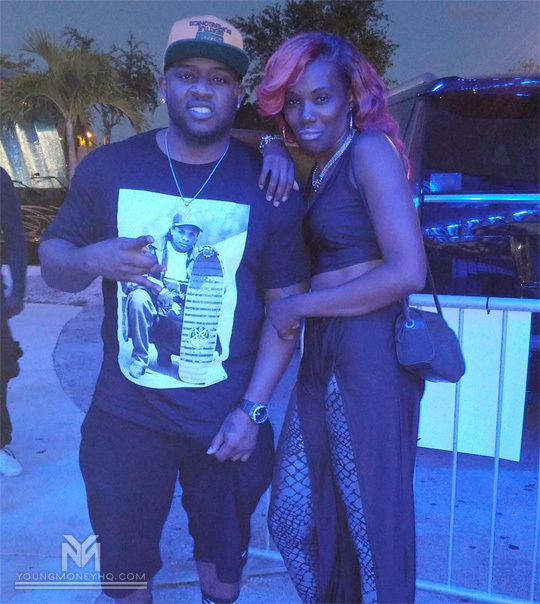 Happy 34th Birthday To Mack Maine! Today is Mack Maine‘s 34th birthday! Everyone at YoungMoneyHQ.com and LilWayneHQ.com would just like to wish the YM President a Happy Birthday and hope he has a great day. Click here to check out Mack performing his “Knuck If You Buck (Freestyle)” verse live in New Orleans. After seeing the artwork yesterday, DJ Khaled has released his new single called “Do You Mind” featuring Nicki Minaj, August Alsina, Chris Brown, Future, Jeremih, and Rick Ross. The track will appear on Khaled‘s upcoming album, Major Key, due to be released tomorrow (July 29th). Click here to pre-order the project off iTunes. You can listen to the “Do You Mind” collaboration after the jump below! What are your thoughts on the song?